Halloween is right around the corner and if you have children, this means that there will be way more candy in your house than normal. 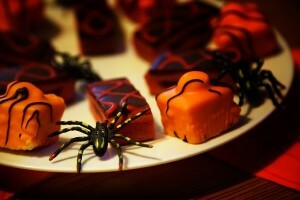 The candy you buy to hand out to trick-or-treaters as well as the candy your own kids bring home will greatly increase the risk of candy or chocolate ending up on your carpet. Chocolate and candy stains are a hassle to remove from the carpet because they are sticky and can melt deeper into the fibers but if you react quickly with the following tips, you can remove chocolate and candy stains from the carpet. Remove as much of the stain as you can by scooping it out and blotting, dry particles can be removed with the vacuum. Make a cleaning solution that contains 2 tablespoons of vinegar to 4 cups of warm water. Before trying the solution on the stain, test it on a small, hidden area of the carpet to make sure it does not ruin or discolor the carpet. If this happens, it is best to call ServiceMaster DAK to remove the stain. Dip a cloth in the cleaning solution and use the cloth to apply the solution to the stain. Start around the outside of the stain and work your way into the center. Let the solution sit on the stain for five minutes or more. Use a white cloth to blot the stain until there is no more stain transfer. Repeat the blotting process if the stain has not been completely removed. Contact ServiceMaster DAK for carpet cleaning services if you cannot remove the stain with this method. 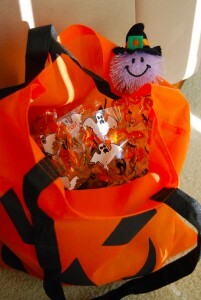 Try to pull the candy from the carpet without ruining the fibers, you can use a butter knife to help remove the candy. Gently apply half a teaspoon of liquid dish soap by working it into the stain with your fingers. Using a wet paper towel, blot the stain so that it transfers from the carpet to the paper towel. Repeat by folding the paper towel and blotting the stain again. Replace the paper towel if it becomes too saturated. If the stain is still there, cover the stain with ¼ cup of white vinegar and use a clean damp cloth to blot the area. The vinegar can dissolve sticky stains from the candy. Alternate between applying dish soap and vinegar until the stain has been completely removed. Remove the soap and vinegar from your carpet by pressing wet cloths over the area. Soak up any excess liquid with dry towels. During Halloween and the days after when your children are still eating their candy from trick-or-treating, keep a close eye for chocolate or candy stains on your carpet and take these actions to remove the stains. If these actions do not completely remove a candy or chocolate stain from your carpet, call ServiceMaster DAK at 847-564-0204 – we offer professional carpet cleaning services in the North Chicago suburbs.